Managed SQL Services:- Sleep better at night knowing your SQL issues are fixed before they become problems. Here’s how. Managed SQL Services from BIReady Australia is a cost-effective way to monitor and manage your SQL data platforms. With this service, you can remove all the headaches associated with running a modern SQL database platform. Services like:- • 24/7, real-time, online system monitoring • Full incident management • Database performance analysis and tuning • Backing-up operations • Database maintenance (service pack application, investigating alerts and errors etc.) • Support for when your DBA goes on leave. One important thing to consider when you need ad-hoc SQL support is continuity of service. Contractors come and go, and when a contractor walks out the door to his next gig, so does all that acquired knowledge and experience. And it’s always nearly impossible to get back. With SQL Services you get the same consultant looking after you, or one that has been thoroughly briefed by your original consultant. If your original consultant is on another job, we will do everything we can to create a work schedule that suits everybody. Managed SQL Services comes in three packages - Bronze, Silver and Gold - depending on your requirements and how you might want to split responsibilities between your in-house team and SQL Services' online team. That’s why SQL Services makes so much sense. But there’s more:- Qualified All SQL Services consultants are fully trained and certified to the latest versions and standards. You get the best there is. Experienced SQL Services consultants are exposed to a wide range of challenges to solve on a daily basis. This puts them in situations never seen by an inhouse DBA. As a result, they have much more diverse experience and can solve your problems faster. Knowledgeable Call them what you like - Gurus, PropellerHeads, Geniuses, Brainiacs - possibly Nerds - it all adds up to the same thing - SQL Services consultants really know their stuff. Great People SQL Services consultants are real people that are great to work with. Customers describe them using words like “Helpful”, “Responsive”, “Professional”, “Thorough” - and even “Fantastic” has been used on several occasions. 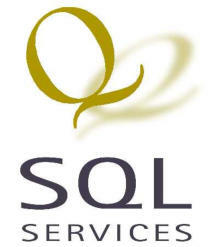 The Best in the Business SQL Services monitor, manage and protect over 1000 servers across Australia and New Zealand. They are trusted by some of the largest organisations in ANZ. Download the SQL Services Capabilities Statement to see the full range of services offered. Managed SQL Services - from BIReady Australia. Solving Your SQL Problems Before You Know You Had Them. What SQL Services Customers Say:- Downer EDI Mining "The Managed SQL Server provided by SQL Services has simplified my role as Database Administrator. The prompt and timely responses from Team West have facilitated the identification and resolution of day-to-day problems." Chris Corcoran, Database Administrator Guild Group "The Managed SQL Server service has simplified the day to day running of our SQL Server environment. The prompt and timely responses from Team West have facilitated the identification and resolution of day-to-day problems." Tobias Strube P&O Transport Australia "I wish that all of the service organisations that I dealt with adopted the SQL Services model for Service Delivery. It is exemplary. Thank you for your prompt service and attention." Anna Van Tatenhove New Zealand Trade & Enterprise "Before we started using SQL Services it took a number of full time staff to provide the same level of coverage. SQL Services is also available 24/7 whereas our database administration staff only covered us during the day. The changes have reduced NZTE’s database administration costs and led to a range of other benefits." Richard Ashworth, Chief Technology Officer Who Needs SQL Services? • Companies that need SQL Services TODAY - Urgent supply on demand. Services so flexible and affordable - you can have what you need get done whenever you are ready. No need to wait another minute. • Companies wanting to save money - Outsource your database management to save on administration, maintenance, support and daily management costs. • Companies wanting to save time - Often, DBA functions are carried out by IT Managers. Suddenly, their roles expand and they take on more responsibilities, leaving them less time to manage their databases. • Companies seeing peace-of-mind - Make sure your database is fully updated and is monitored to ensure it is performing as well as it can be. Don’t let a poorly-managed database server be the cause of catastrophic data loss in your organisation. To find our more, call or email us today. Managed SQL Services:- Sleep better at night knowing your SQL issues are fixed before they become problems. Here’s how. Managed SQL Services from BIReady Australia is a cost- effective way to monitor and manage your SQL data platforms. With this service, you can remove all the headaches associated with running a modern SQL database platform. Services like:- • 24/7, real-time, online system monitoring • Full incident management • Database performance analysis and tuning • Backing-up operations • Database maintenance (service pack application, investigating alerts and errors etc.) • Support for when your DBA goes on leave. One important thing to consider when you need ad- hoc SQL support is continuity of service. Contractors come and go, and when a contractor walks out the door to his next gig, so does all that acquired knowledge and experience. And it’s always nearly impossible to get back. With SQL Services you get the same consultant looking after you, or one that has been thoroughly briefed by your original consultant. If your original consultant is on another job, we will do everything we can to create a work schedule that suits everybody. Managed SQL Services comes in three packages - Bronze, Silver and Gold - depending on your requirements and how you might want to split responsibilities between your in- house team and SQL Services' online team. That’s why SQL Services makes so much sense. But there’s more:- Qualified All SQL Services consultants are fully trained and certified to the latest versions and standards. You get the best there is. Experienced SQL Services consultants are exposed to a wide range of challenges to solve on a daily basis. This puts them in situations never seen by an inhouse DBA. As a result, they have much more diverse experience and can solve your problems faster. Knowledgeable Call them what you like - Gurus, PropellerHeads, Geniuses, Brainiacs - possibly Nerds - it all adds up to the same thing - SQL Services consultants really know their stuff. Great People SQL Services consultants are real people that are great to work with. Customers describe them using words like “Helpful”, “Responsive”, “Professional”, “Thorough” - and even “Fantastic” has been used on several occasions. The Best in the Business SQL Services monitor, manage and protect over 1000 servers across Australia and New Zealand. They are trusted by some of the largest organisations in ANZ. Download the SQL Services Capabilities Statement to see the full range of services offered.